This article was written By Newsbot on 10 Oct 2012, and is filed under Features. 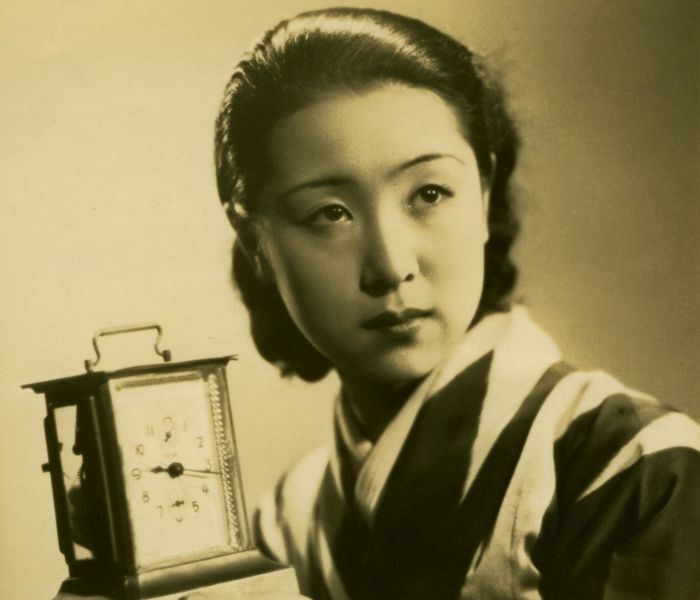 Kinuyo Tanaka (1909-1977) has long been recognised as one of the great actresses of Japanese cinema, with a career that spanned five decades of national film. Although she is often discussed in relation to her screen image as a moga (modern girl), or with regards to her collaborations with the leading filmmakers, the multi-talented Tanaka was also Japan’s second female director, after Tazuko Sakane. The 26th Leeds International Film Festival, UK, held from November 1-18, features a retrospective of Tanaka’s work that includes some of her triumphs in both professional capacities. Yasujirō Ozu’s A Hen in the Wind (1948) casts Tanaka as a wife who struggles to take care of her son as she waits for her husband to return from war, while Mikio Naruse’s Mother (1952) finds her playing a matriarch who tries to keep her family together in difficult economic circumstances, and Kenji Mizoguchi’s Sansho the Bailiff (1954) takes place in feudal Japan with Tanaka as the wife of a governor whose defence of the rights of farmers leads to tragedy for his loved-ones. Tanaka’s directorial credits are represented by The Eternal Breasts (1955), an account of a modern-minded woman who is afflicted with breast cancer, and Girls of Dark (1961), in which a prostitute tries to re-enter legitimate society when her profession is criminalised. There will also be a half-day workshop on Tanaka with presentations from Japanese films experts. This retrospective has been arranged in collaboration with the Mixed Cinema Network/Centre for World Cinemas, University of Leeds, and curated by Michael Smith, who contributed an essay on Tanaka’s career to the recently published Directory of World Cinema: Japan 2 (Intellect, 2012).